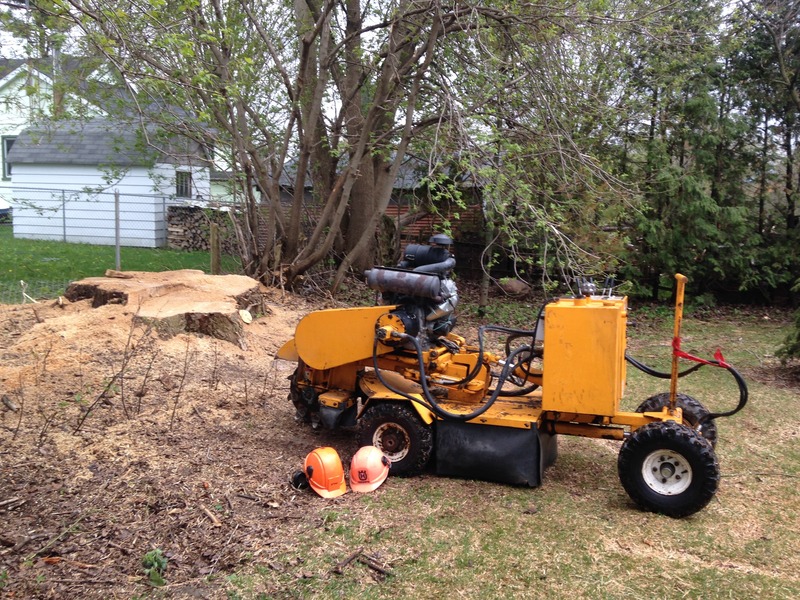 Stump grinding is a way to remove an old stump from your property, after the tree has been cut down. 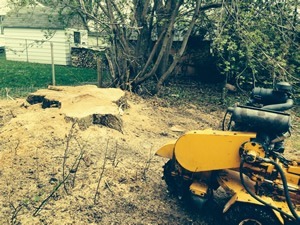 If it’s a small stump, you can rent a stump grinder and do it yourself, but it’s always a safer option to hire a professional, with the right training and insurance to come do it for you. If you have several stumps or really large ones, it’s really best to have the large equipment with a professional operator. Winter is a great time for stump removal! If you have a stump on your yard that you just haven’t gotten around to removing, winter is the time! We can come in and remove the stump, and at the same time, while the ground is frozen, your grass is protected! In and around Barrie, there are many beautiful treed lots. If you have trees on you property, make sure they are healthy and strong to reduce the risk of damage this winter. 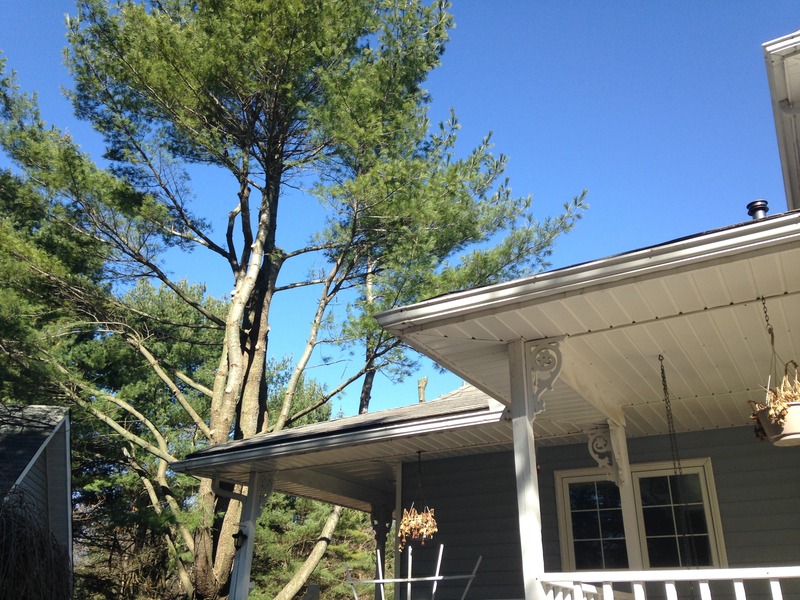 The last thing you need is a wind storm, or ice storm to knock down a tree that falls on your house or car! 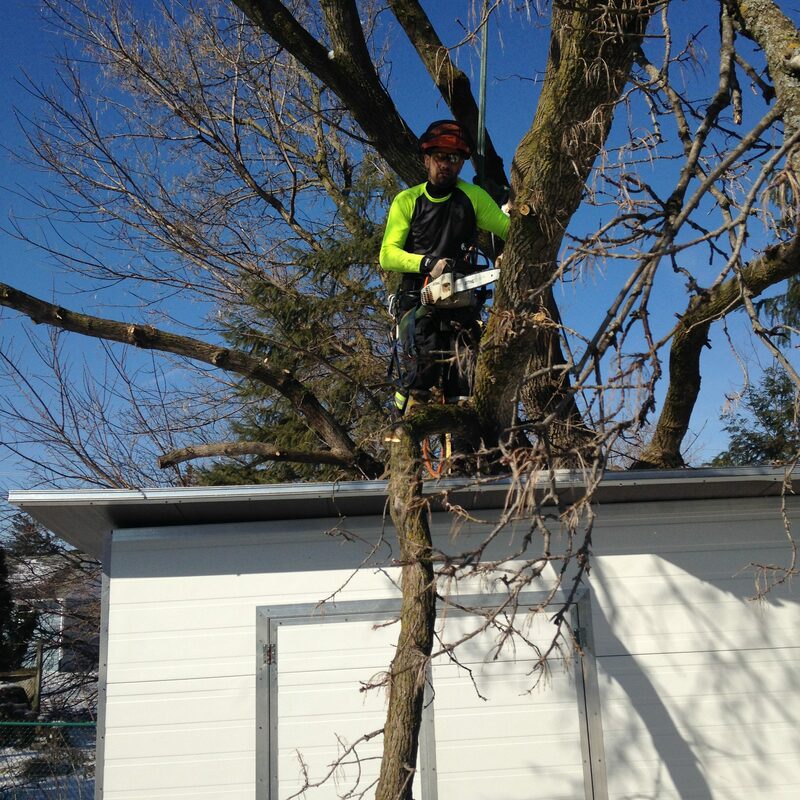 We can come in check your trees and prune the branches, and proactively work on those trees. Did you know winter is the best time, because the trees are dormant, it’s less invasive for them. Also, doing the work while the ground is frozen and snow covered protects your lawn and gardens. Call us if you have questions about your trees! 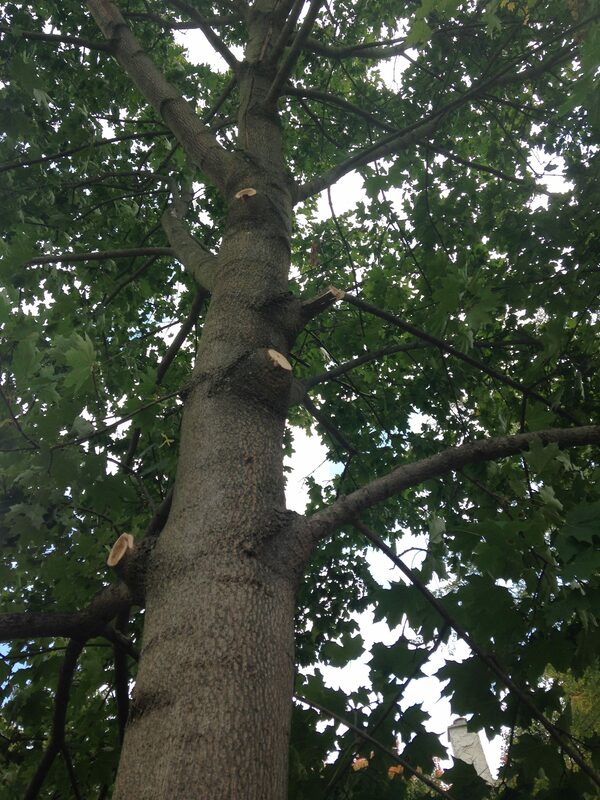 Timberjack Tree Service looks forward maintaining your trees in 2013! 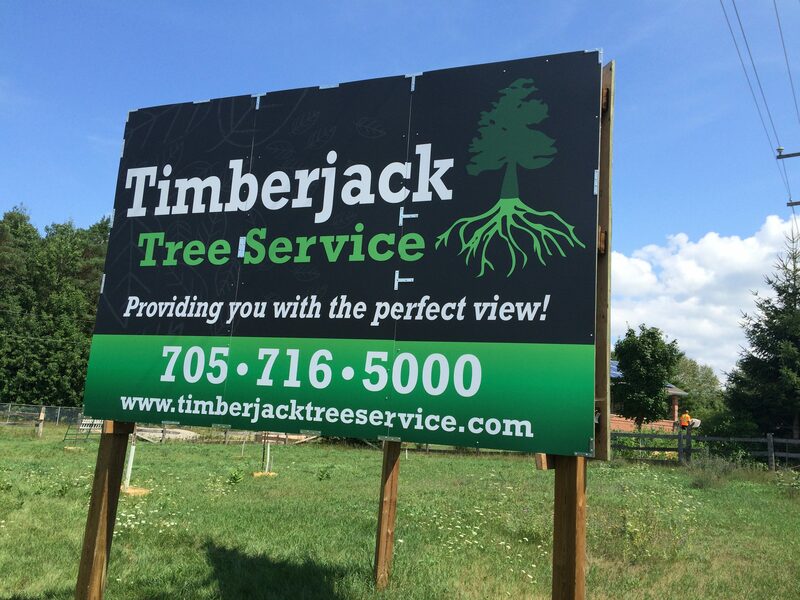 Timberjack Tree Service operates out of Barrie and services the surrounding areas, offering quality workmenship resulting in happy customer’s and trees! 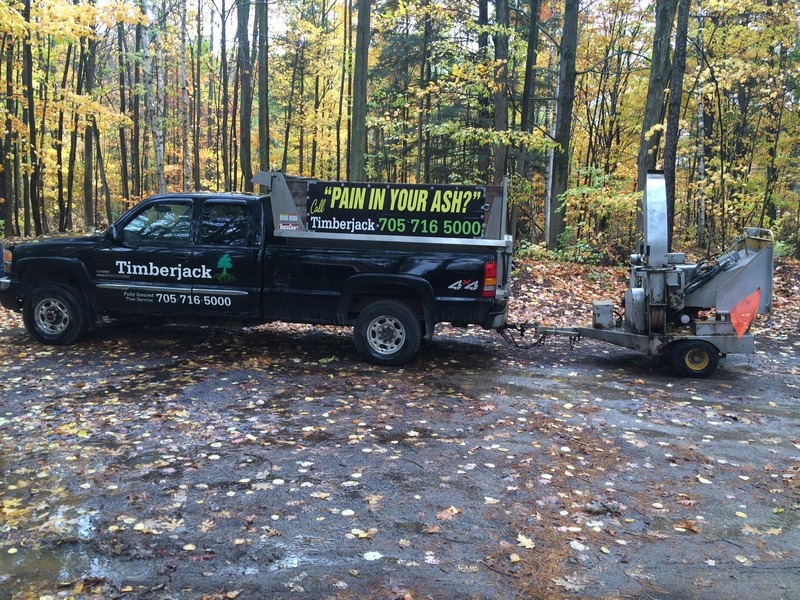 Services provided by Timberjack Tree Service are Tree Pruning, Tree Plantng, Fertilizing, Hazardous and Unwanted Tree Removal, Stump Grinding & Firewood Sales. Other services provided to service you better are as follows Crain & Excavator Services. Timberjack Tree Service is looking forward to care for your trees in 2013. And we must act now as we are under attack by the Emerald Ash Borer; this beetle only attacks ash trees hence the name Emerald Ash Borer. The infestation is moving north, presently boring holes into trees in Richmond Hill. 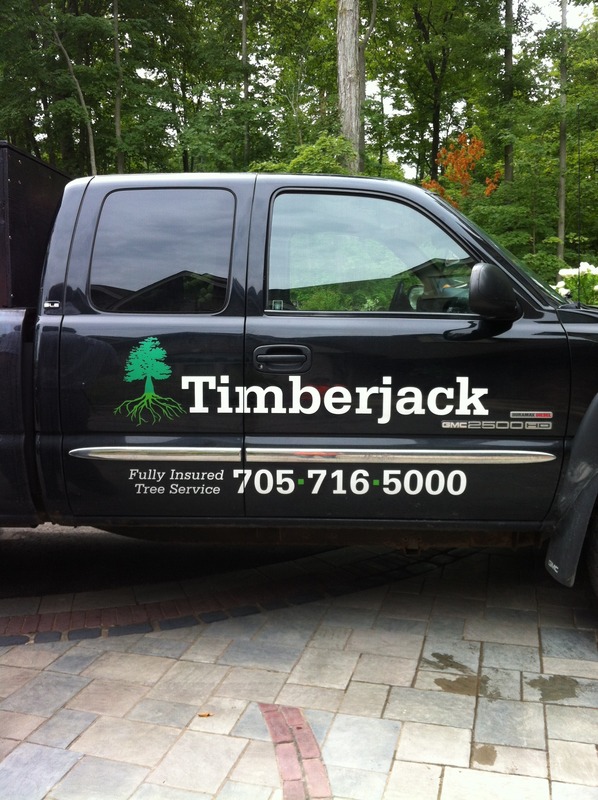 Timberjack Tree Service operates with a safety manual! Staying within regulations when perform arborist work practises on our job site to protect the public and our clients, personal protective equipment, chainsaw safety, tree climbing and equipment and line clearing is all covered in the Timberjack Tree Services Safety Manual.Each employee is required to follow these guide lines to ensure our customers’ with the highest level of service we can provided; inorder to maintain a long lasting working relationship! If you haven’t as of yet purchased a Christmas tree I would highly recommend the Douglas Fir, this tree will retain it’s needles much longer than the tradtional Pine or Spruce tree! A good idea always before you place the tree in it’s stand that you give it a fresh cut; saw off about 2 inches. In doing so this allows the tree to take up water easily and inturn will help the tree retain it’s needles. Regular watering is also a sure way to keep your Christmas tree beautiful! Timberjack would like to share some very interesting Tree Facts. Trees are the longest living and largest living organisms on Earth. There are more than 23,000 species of trees. Sixty six percent of Ontario is forested. An average tree removes 4-5 kg of pollution from the air and provides enough oxygen for 4 people in one year. Every 1 kg of dried wood stores approximately 1.65 kg of carbon from the atmosphere. Wood is a renewable resource, in that it replenishes within our lifetime. Recycling wood products helps reduce consumption of forest resources. The trees around our homes reduce yearly heating and cooling costs by up to 30%. Tree roots stabilize the soil and prevent erosion. Trees also help purify our water by filtering rain which is taken up by fibrous roots. James is a very knowledgeable arborist who helped prune my six fruit trees to ensure best growth and fruit production in the Spring. He identified black knot on one of my trees and helped eradicate the disease. I am very satisfied with his work and will call on him again when needed.